Listen to Your Customer Support - SalesChat.co : Live Chat Operators for Business Sales And Support. Low dissatisfaction rate can earn the customer’s trust. Listen to your customer support, they know the secret! Customer support is a service that is paramount for a business as well as clients and ensures the customer’s satisfaction with the product or service. It devises a relationship of trust, loyalty, and sincerity with customers. Customer support always available for the service of leads before, during or after a purchase. Modes of customer service cover from the traditional means i.e., phone calls to the modern way like web chat and video calls. As customer satisfaction totally relies on customer service and is directly related to the business growth that’s why a brand does its best to modernize its customer service support and to train its team.A gracious and empathetic relation between a prospect and representative decides whether a lead is leaving or retaining as a regular customer. Whatever the business you are going to run, ensuring best customer experience always remains the first choice. One bad review from the client can spoil the overall reputation. So, it is important to keep a flow of positive reports about your brand. The customers’ loyalty confirms backbone in the strength of a company. As a result, a brand has the satisfaction that their prospects will stay with them for a long time. To establish such loyalty, a company must have good customer service. Presently, everyone wants the instant result for its response. A good business is able to avoid such delays by choosing the right persons for the job and upgrade itself with the new technologies that best suit the company as well as efficiently and effectively meet the clients’ needs. If you consider all these elements and implements it in your business, you can actually enjoy the advantages of customer service. A good customer service has the ability to retain its customers. When the clients are satisfied and delighted, they will never think to move to the competitors. It proves a vital point for the brand as customer retention needs less effort and cost than customer acquisition. Satisfied customers are always a key to bring the new clients in the purchase cycle. When customers are captivated, they will gladly refer the product or service to the other leads as they also want to do something for the business in return for good quality service. These more references mean an expansion in the growth of the trade. The advantages of customer service don’t stop at an increase in revenue. It leads the business towards more capital by raising the sales growth. This higher rate of cash flow enables the business to expand its assets and invest to introduce new technologies and new employees. The advent of new technology or any upgrading in it proves even more delighted clients. If the customer feels security in sharing its personal information and paying an online amount for the product, it means it has trust in that brand. A better customer experience affords the high-grade environment for the employees. As a result, a happy and energetic employee can make the customer satisfied. By improving customer service, it yields an increase in sale rate. With this, the business can hire new agents and train them. This will avoid the present workers to do multi-tasks. Each team or a representative will be able to concentrate on a single task resulting in a more calm work environment. When a company provides excellent customer service, increases its revenue and capital, it will be able to attain new customers at a fraction of cost it was supposed to. Many businesses that utilize much cost on promotions and advertising their product and services cannot achieve an increase in profit. However, providing extraordinary customer service costs less and ensures higher profitability by ensuring retention of customers. Great customer service can become a competitive advantage for the business. If the whole team works with determination and have the structure relationship with clients, they don’t even give a chance to their competitors to beat them or take their place. Hence a company with smooth running customer service becomes sustainable and competitive. When customer service establishes a confident and better work environment, has the approach to the customers’ mindset that makes them happy and satisfied, the whole environment itself creates a marketing scenario. Even the small organization is depicting such situation in which each representative plays its role to ensure the customer satisfaction, then such business doesn’t need to pay extra attention to advertising its products or services. The customer service acts as a bridge between a brand and its clients ensuring the profit to both. Proper functioning and survival is very important for the company. On the other hand, it satisfies the prospects by providing continuous customer engagement. However, there are some important functions of customer support service that proves beneficial to both businesses as well as leads. Customer service is always available for the customers and due to this continuous and valuable interactions, it leaves a positive and long-lasting impact on the clients. That’s why customer retention is considered as the major function of the customer service. 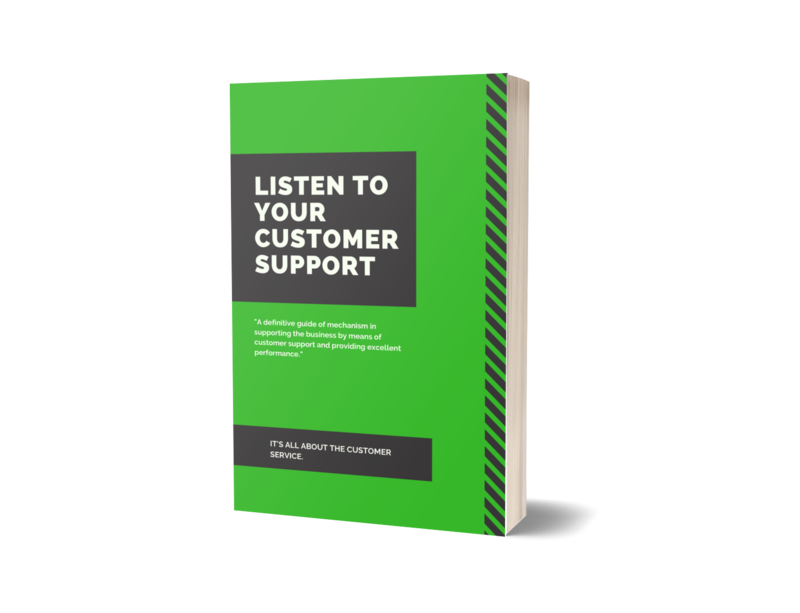 Sometimes, it’s not the products or services that attract the client, it is the customer support that holds the leads for a long time. According to research, customers would like to pay more for a product if a company has excellent customer service. Although the financial structure of a business is directly related to the products or services, its customer service plays a vital role in the increase in sales. The positive and cooperative attitude of customer service towards clients along with the offering of additional needed services will increase the customer satisfaction and paves a way in which customers will communicate again to purchase a new product in the future. In every aspect of life, positive attitude matters a lot so as in the case of customer service. The energetic and upbeat approach of agents create the smooth and positive employees culture and inspire the clients as well. Clients feel gravity towards this conclusive and clear environment and like to share their suggestions and problems in a friendly way. The responsibility of making a strong bond between brand and leads lies in the customer support service. Their demeanor can weaken or strengthen this connection. With the strong customer service, a company can assist its clients easily. With such continuous interaction and repeat business, a company has a chance to build long-term relationships with the prospects. If an organization uses its best strategy to serve the leads but doesn’t establish a scale to measure their production then all is in vain. There is always a need to measure the quality of customer service and for this, Key Performance Indicators (KPIs) are used. Different businesses use different key performance indicators(KPIs) according to their needs and strategies. However, to measure the attainment of customer service, some of the key indicators are here. One of the indispensable performance indicators is customer satisfaction. A large number of delighted customers mean excellent customer service. If an organization conducts customer satisfaction survey on regular basis, it can analyze the rate of less or extremely satisfied customers. After analyzing the rate of customer satisfaction, a business can focus on the areas of improvement. Furthermore, if a brand is not getting improvement after struggling for many years, it means it needs modifications in the strategies. Nevertheless, a gradual development in the customer service means you are on the right track and achieving your goals. Resolution time matters when you talk about measuring customer service. If customer service is giving a quick response to the clients, resolve their concerns in a timely manner and show empathic behavior, clients will more likely please with the experience. So, we can say that a lower average resolution time for an issue is a sign of better customer service. Minimum resolution time not only resolve the problems fastly but also avoid to assemble the volume of complaints. It’s difficult to handle too many complaints at a time. However, the active issues can be used to measure the performance of customer service. A massive complaint refers to the lower performance of agents as they are unable to provide the solution in real-time. Every business, big or small, faces the complaints of their clients. Although it is good for a business that charges are normal in number, then it doesn’t affect the growth of the customers. But a high rate of issues that causes the reduction of prospects can be alarming. That’s why complaint acceleration rate becomes a key to measure the performance of customer service. For such case, a company can keep an eye on the complaint rate and analyze the area of customer support team where improvement is needed. Hence, customer service has established its position in the business as well as in the life of customers. Neither a business can enhance itself nor customers can find a way to resolve their issues without it. If a prospect gets instant knowledge about their desired product or service, finds answers to its queries in real-time then we should be grateful to customer service to make our lives comfortable.